So, this is the lovely church Seinajoki. Aalto also designed the town center here. This includes the town hall, church, library, and theater. 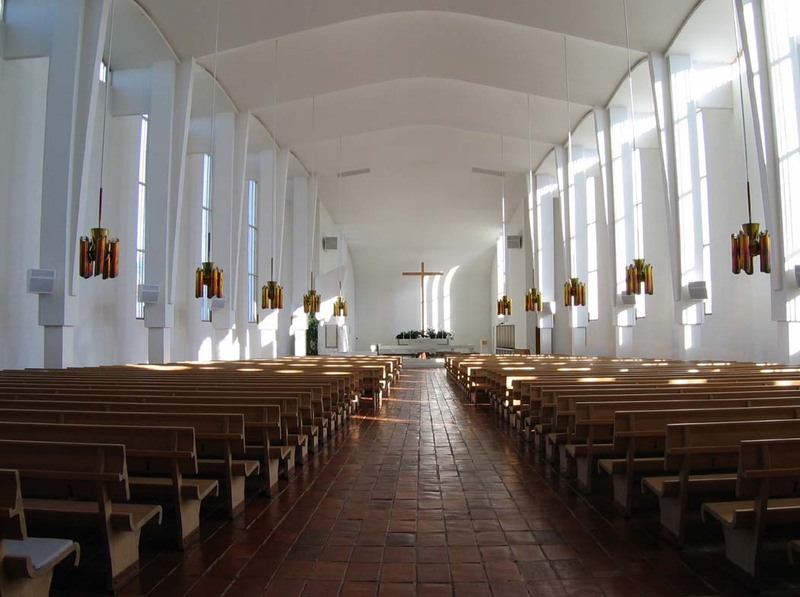 I have only included pictures of the church, for whatever reason. The the design of the other buildings, and their relation to one another, is equally impressive. While I had to dodge a Japanese photographer the whole time I was there, it was amazing to get to see Villa Mairea. It is lovely, Modern, elegant and warm. I sat in the living room with the curator, and she talked about the history of the home, and the way in which it was used. It felt like a home, which is not always something that is evident in a project with no budget, and with the world to impress. So, I've had requests, from people who shall remain nameless, but you know who you are, to post what a traditional Finnish meal looks like. Basically, I have yet to try the pickled herring. It's so hard! 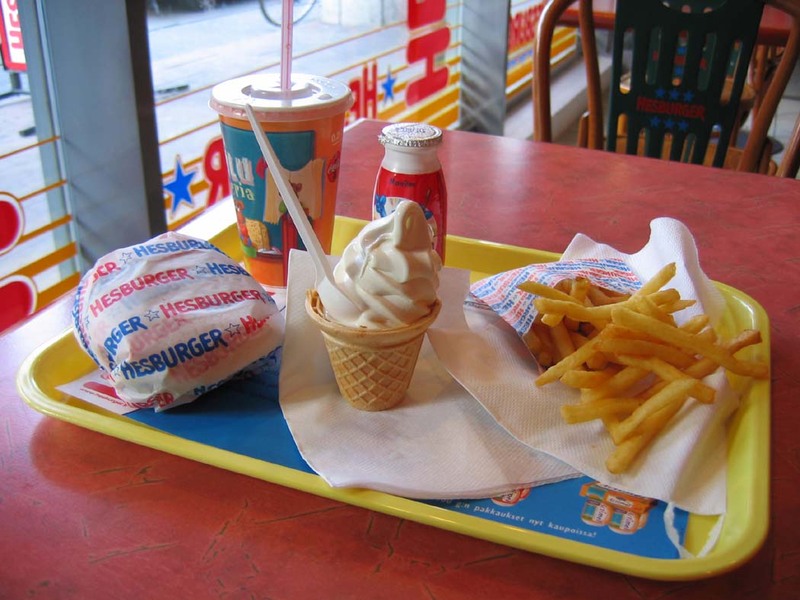 Early in the morning...for breakfast...I want a bagel...or a Hesburger. 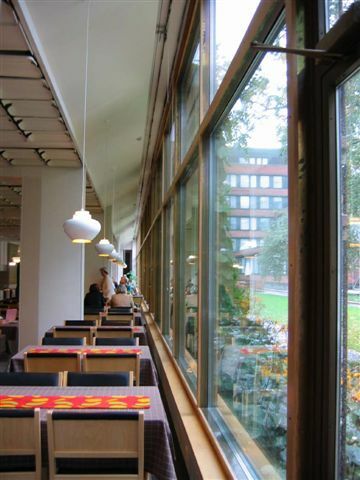 This is Aalto's National Pensions building. 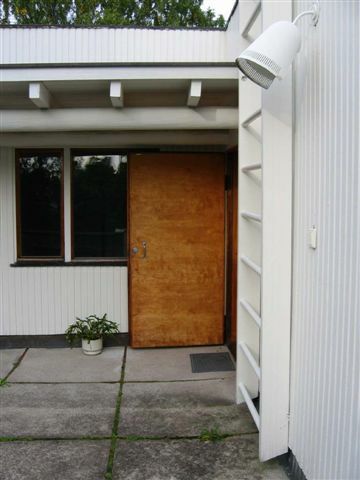 This is the center for the social security program in Finland. It looks like a modest office building from the exterior, but there are many beautiful spaces within. 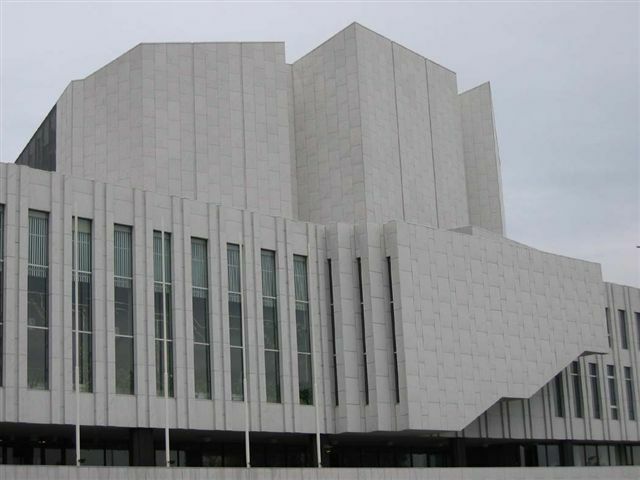 This is the famous, Finlandia Hall. The building has two major spaces for musical performances. 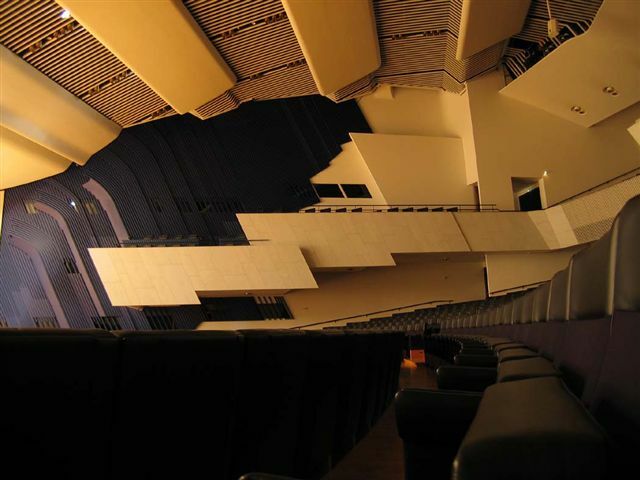 The interior photo shown is of the larger performace space. The smaller space is for chamber music. Finlandia Hall also has a congress wing, which I was not able to tour. Aalto had a large cultural scheme planned for Helsinki, but this was the only building realized of the entire masterplan. The top picture is the back elevation of the house. 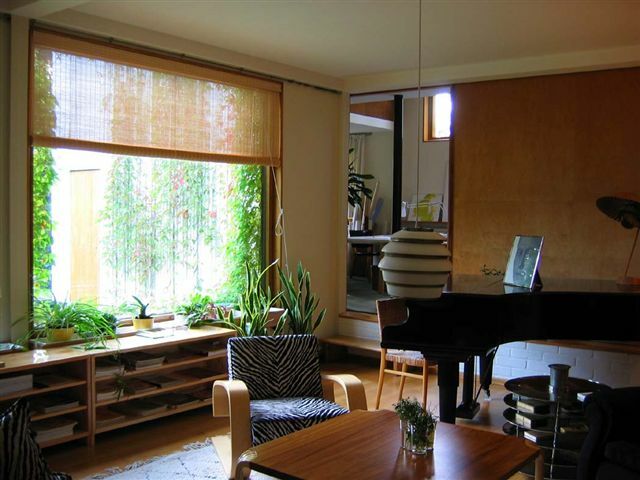 The large window is his living room, which looks out onto a small, sloping lawn. There is a nice view beyond. The second picture is the living room. 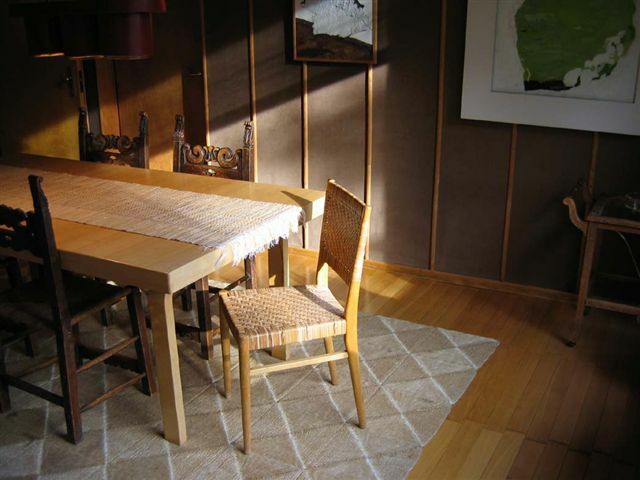 The third picture is the dining room. The fourth picture is the roof terrace. 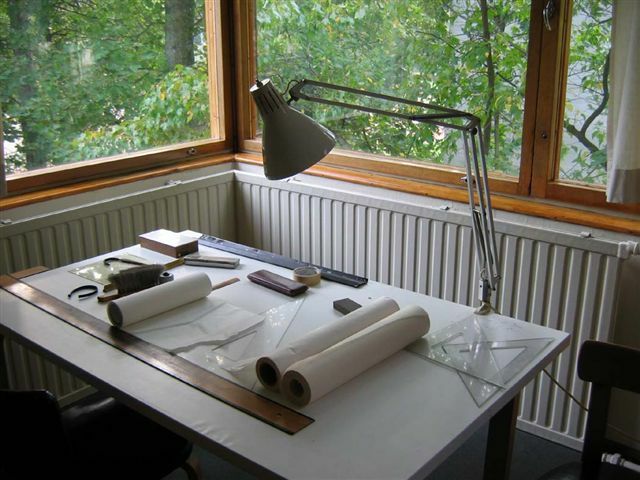 The last picture is his drafting table, where he created his fabulous designs. 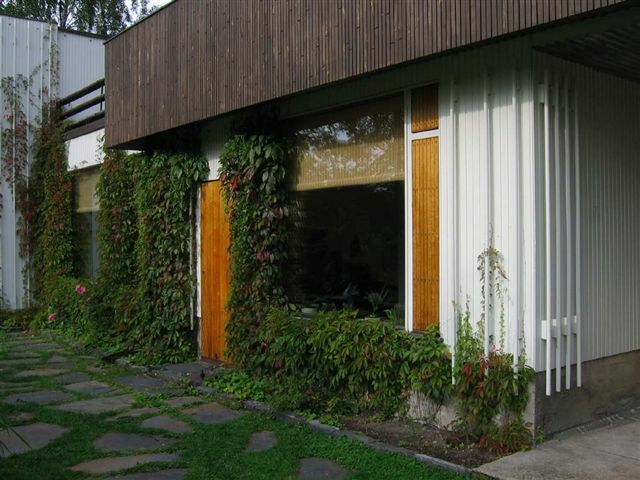 The house was also his office, so there as an interesting dynamic between the work areas and the family areas. In this work space, the interns were on the mezzanine, sharpening pencils. This was before cad monkeys. 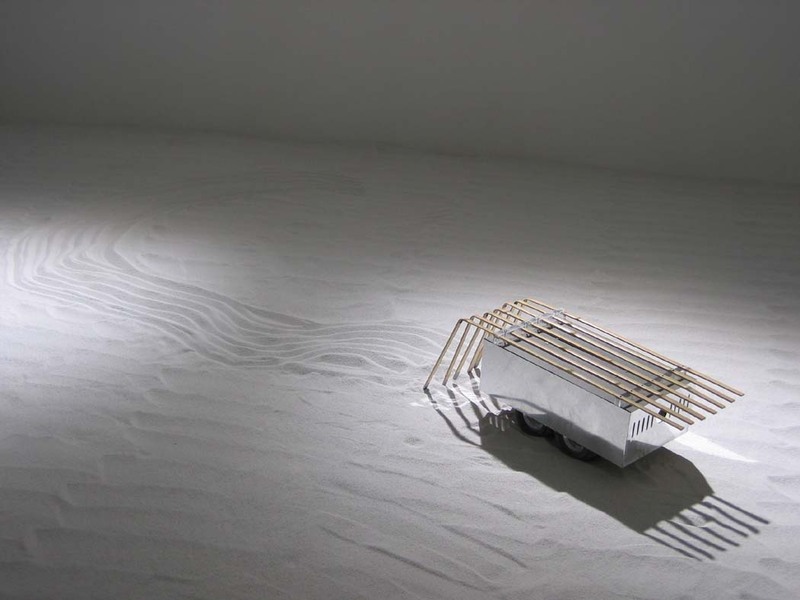 Okay, so the top picture is some sort of robot-designed zen garden. Sumi wanted to know if it could rake lawns. Maybe. I think that monks are just getting phased out. The second picture is a model of, I-can't-remember-what. 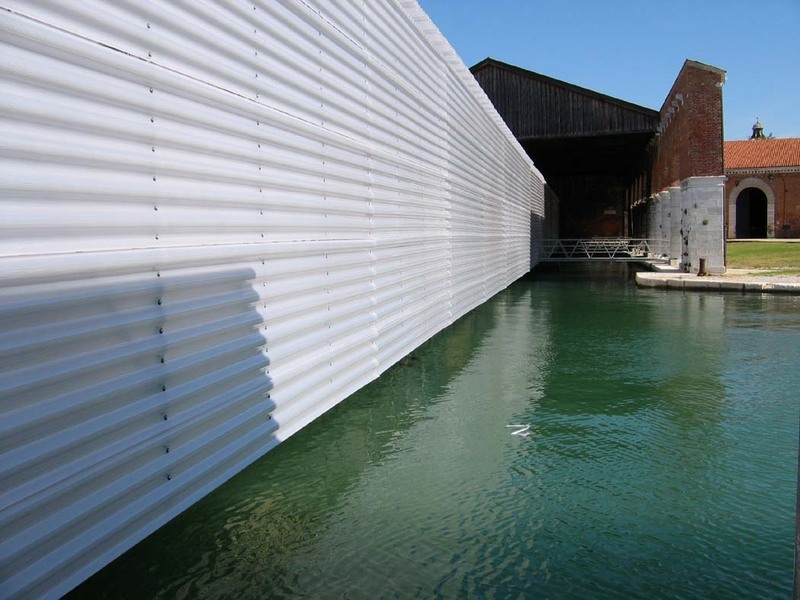 The last picture is the side of a temporary, floating exhibit space at the Biennale. 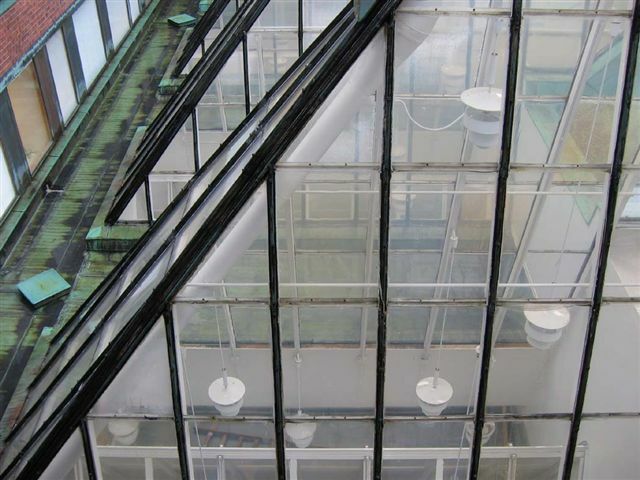 It was made of steel pipes and the translucent panels that you can see in the picture. 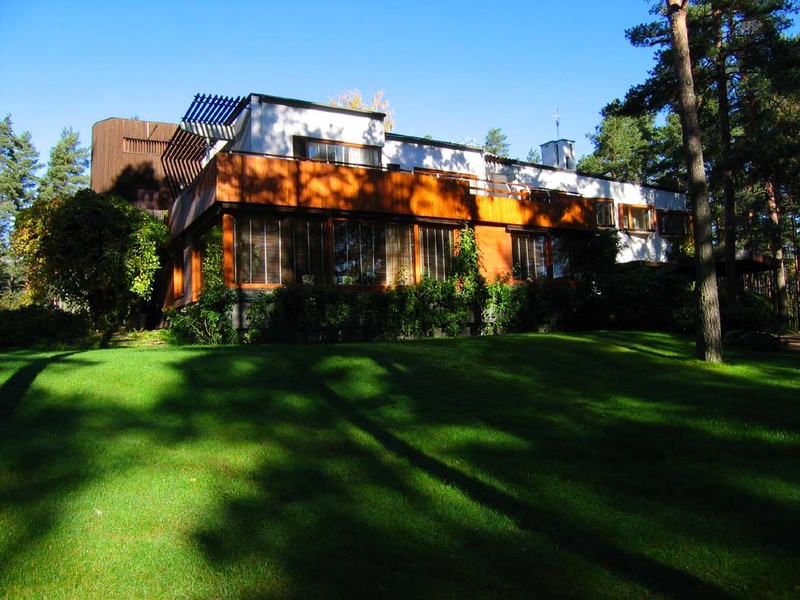 Yes, today I made the "pilgrimmage" to Aalto's sanatorium in Paimio. I feel lucky that my reason for visitng was purely for pleasure, as most people there are extremely ill. While the hospital no longer treats tuberculosis exclusively, it is still a functioning hospital, specializing in lung ailments. The bus ride to Paimio was through the Finnish countryside. Finland has vast forests, obviously, but they are unlike those that I'm familiar with. The trees are tall, straight, and dark. I think that the only types of trees that I've recognized have been some type of fir (pine, spruce, who knows) and white Birch. The effect is really amazing. For me, it makes me think of a Grimm fairytale. I know this sounds odd. 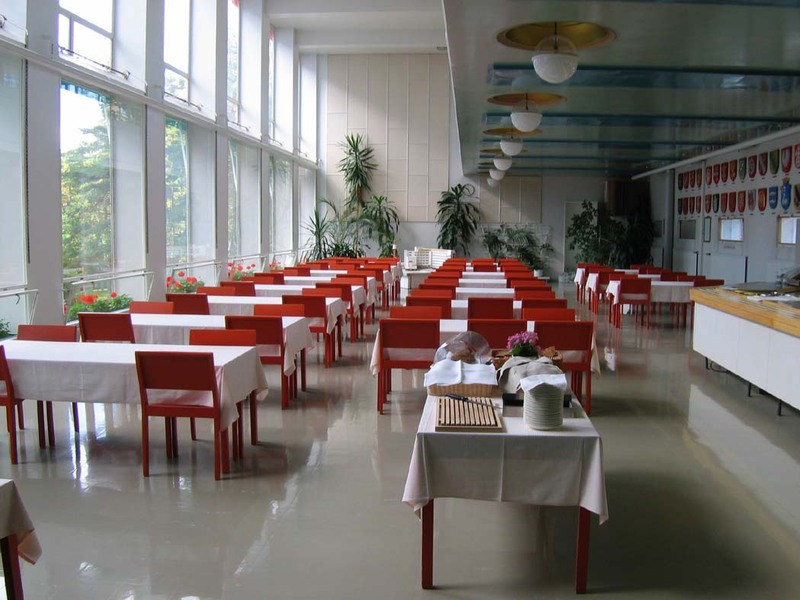 The sanatorium is a bright, light-filled place. The most dramatic location in the building is the topmost balcony. From this point, one can see far into the distance, over the dense forest of trees. Again, I keep repeating myself, it's really breathtaking. 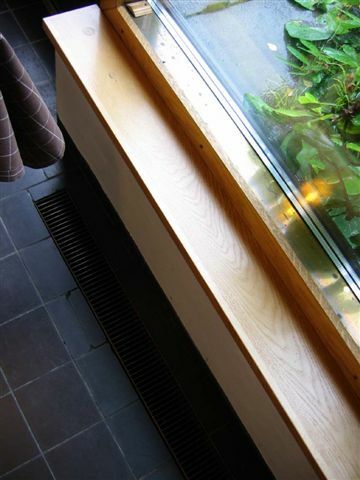 As per usual, Aalto has many thoughtful details in his design. From the radiant panel on the ceiling above the patient's feet, to the curve of their sink, designed to quiet the flow of water, Aalto designs with amazing sensitivity. 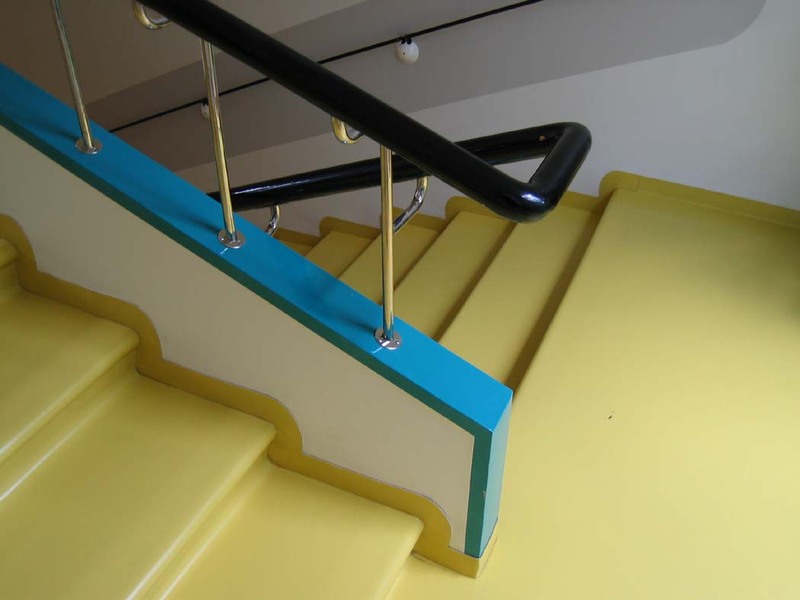 It is amazing not only to consider that one would be able to design every detail of a building, but that it could be done so well throughout. An exception would be a rather odd fireplace in the activity room. It didn't have a conventional flue, and, as a result, has never worked. My tour guide explained that you can't fight physics. 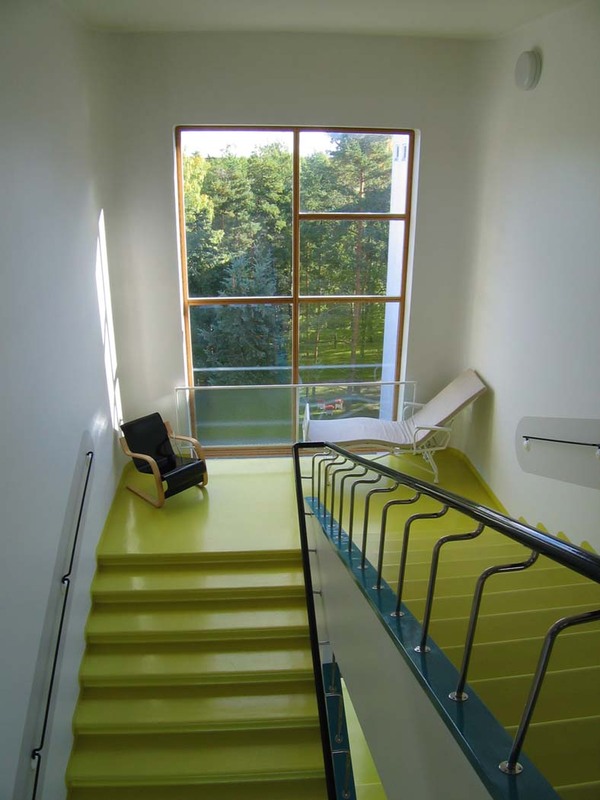 I guess not even Aalto could. p.s. forgive the grammatical/spelling errors. I'm trying to keep this a bit casual, or else I'd be revising myself to death. So, Turku is not quite the chic metropolis of Helsinki. Itäs a bit more, "rough and tumble", I think. Iäve only been here an hour, though. Who knows. Today, I had a tour of Finlandia Hall. It was really great. Iäm going to have to come up with new adjectives, but Iäm an architect, not a poet. 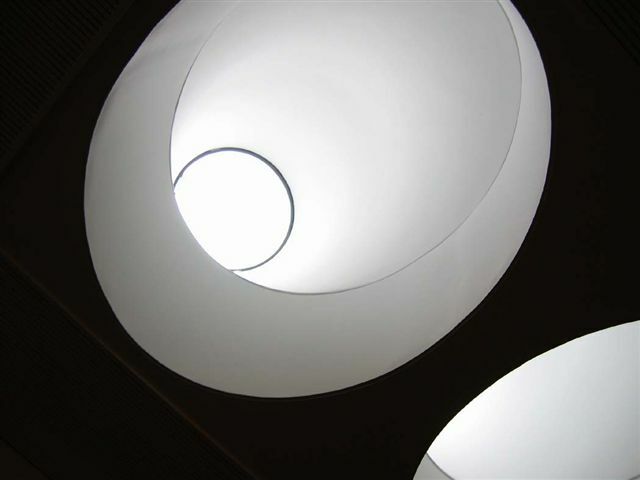 The spaces within flow into one another, yet there are means to divide areas for different groups. The performance spaces are also beautiful. 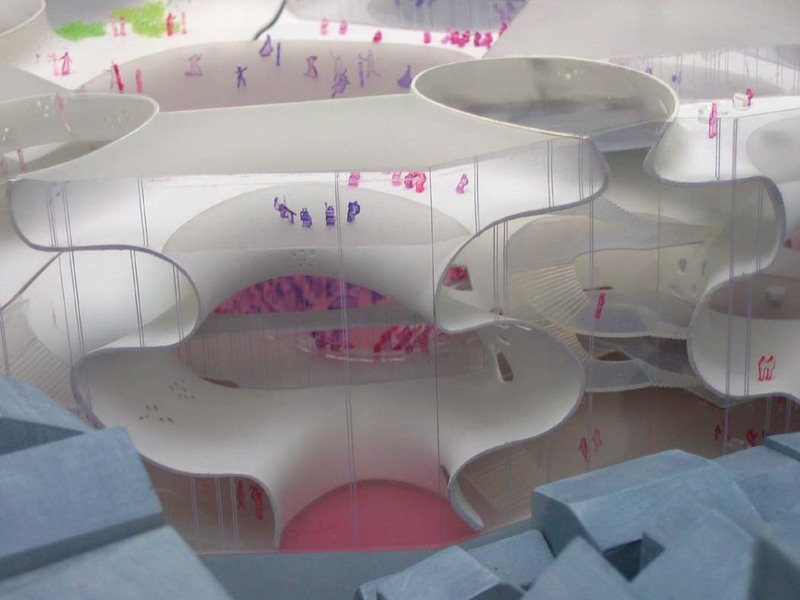 The main space has large balconies, which look like chunks of ice collaged at the perimeter. The chamber music space had wood panels, with bent edges, across the ceiling. 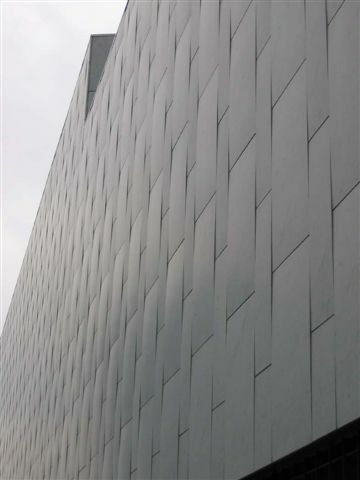 It resembled fish scales, almost. 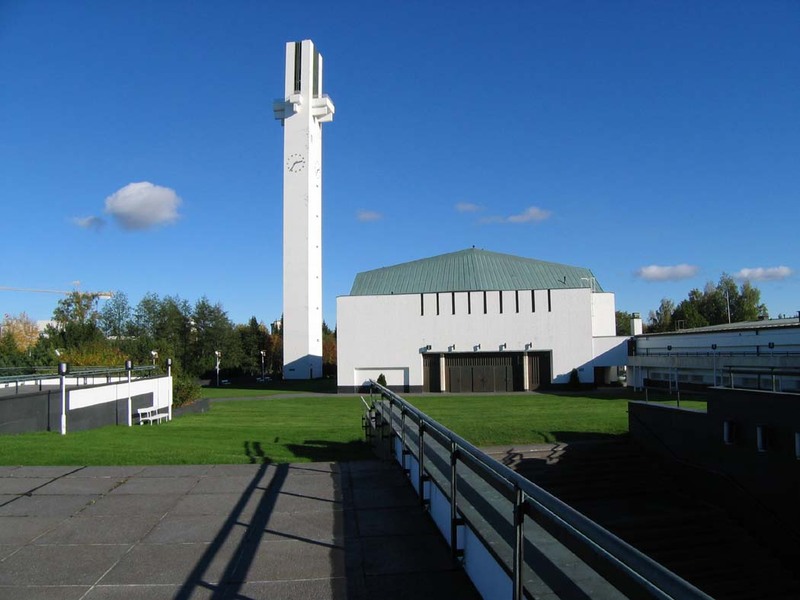 Apparently, Finlandia Hall was only one component in a larger, cultural plan for Helsinki. 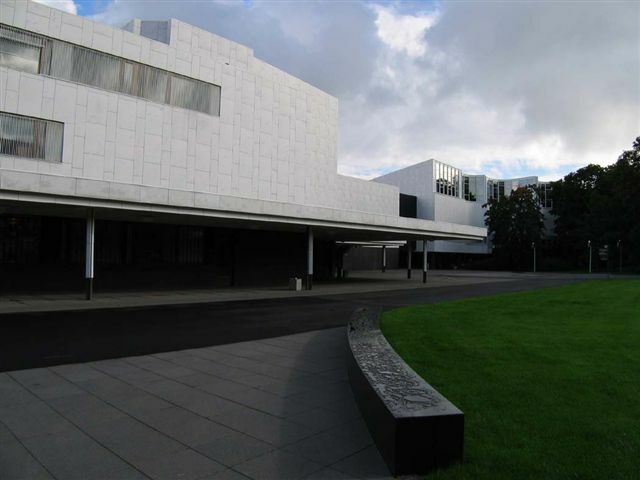 Aalto had visions of Venice when he decided to put the hall next to the water, and to clad it in white marble. Unfortunately, none of the other buildings were realized. 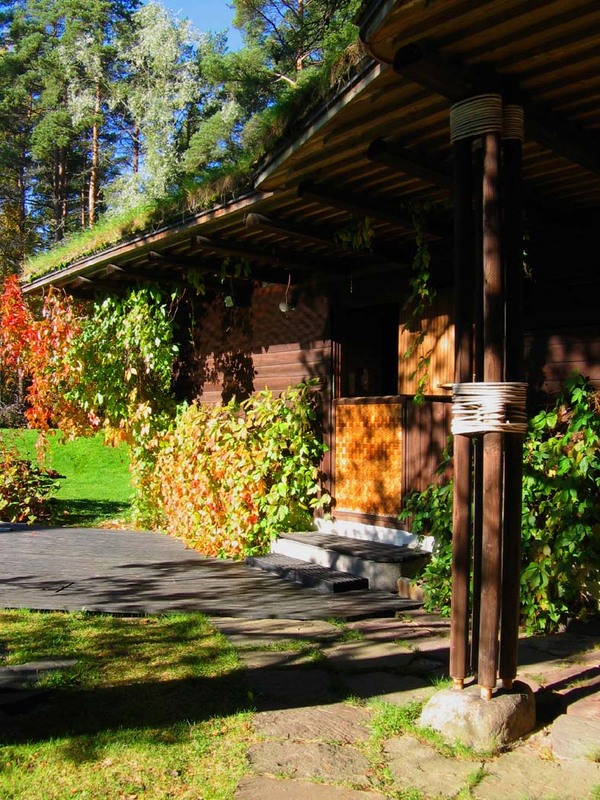 Tomorrow, Iäm off to the Paimio Sanatorium...wish me luck getting there! Kyla and Everett IMPLIED that I may be on the internet too often...trust me, I spend the majority of my day (9am-9pm) on my feet with a heavy backpack, so this 20-30 minute break is really necessary! Keep me posted on the presidential race too! The first person I spoke to in Helsinki asked if I was voting for Kerry because I was from Boston. Bien sur! Today, Iäm taking a train to Turku. Itäs on the West coast of Finland. Iäll hang out there for a day, then Iäm on a ferry to Stockholm. Iäm going to try to see the Woodland Cemetery, among other things (besides Ikea). Iäm not carrying any furniture back with me, no matter how cool it is. Iäm going to meet a friend from high school, Helena. She now has three little boys. Time flies! A brief journal of Elizabeth's travels in Finland...Sweden...Russia...etc. Wish me luck.